Cut off delivery tip of bottle 3/4 inch from end for drinking. If previous attempts to contact a poison control center. emergency medical facility, of health professional were unsuccessful, continue trying. Adult and Children 12 years and over and weighing at least 32 kg (71 lbs.) 50-100g (1-2 adult bottles) or 1-2g per kg of body weight. 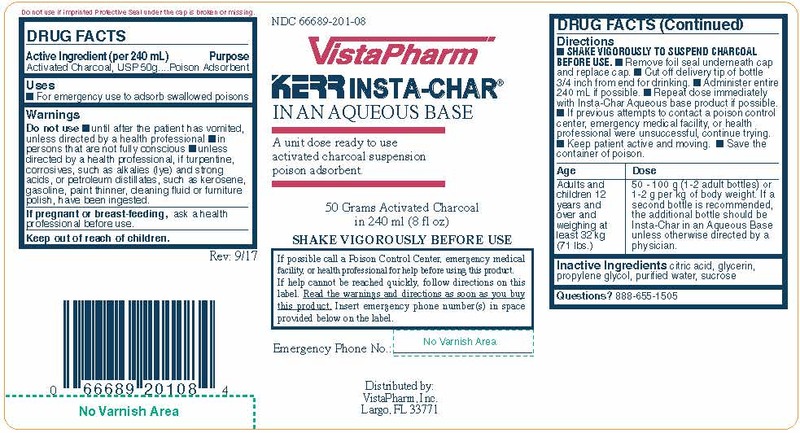 If a second bottle is recommended, the additional bottle should be Insta-Char in an Aqueous Base unless otherwise directed by a physician.